Solitude, UT – The Czech Republic’s Eva Samkova and Alessandro Haemmerle of Austria each claimed victory in this season’s second World Cup snowboard cross event, which was staged at Solitude Mountain Resort in Utah on Saturday. The field of 24 women and 48 men battled not only each other, but also the weather on the Nick Roma-built course. 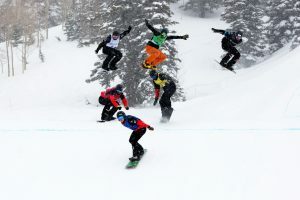 Heavy snowfall and challenging winds at the host site of the 2019 Snowboard Cross World Championships forced race organizers to postpone the start several times, after some teams encountered difficulty even reaching the resort in Big Cottonwood Canyon. Once racing finally got underway, Samkova came out on top in the women’s final. By snatching her career’s six victory, the Czech rider also took the World Cup lead from Australia’s Belle Brockhoff, who finished sixth in Solitude. Italy’s Michela Moioli finished second, followed by four-time world champion Lindsey Jacobellis of the U.S. in third for her 45th career podium result. Saturday’s Grand Prix Snowboardcross at Solitude Resort in Utah. In the men’s event, Alessandro Haemmerle squeaked out of a nail-biter to take the win over new World Cup leader Omar Visintin of Italy. American Alex Deibold rounded out the podium in third. Solitude is an elite venue for both the 2017 Toyota U.S. Grand Prix and the 2019 World Championships. 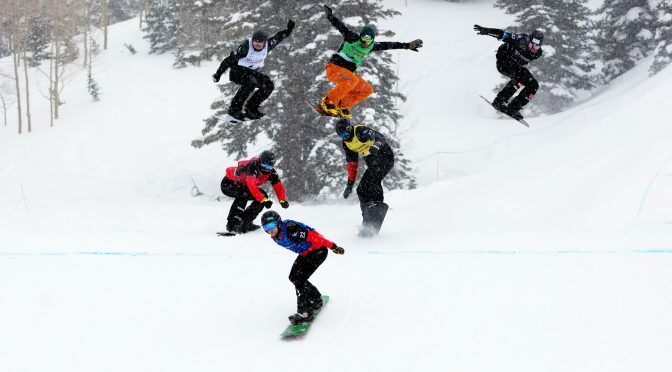 Last weekend’s event is the first international event staged at the Utah resort, and serves as the official test event for the World Championships.